Buying homes today for investment can be a challenging undertaking. Because of current demand from today’s buyers, a more robust economy and appreciating real estate prices in many areas, it’s easier to sell a property than it was a few years ago- if it’s priced competitively. The challenge now is to find the deals and at the right prices. Nevertheless, focus and persistence in finding the right deals can bring nice profits and growing assets to your real estate business. As an investor, you also want to try to figure out the various ways you can buy or at least control a property. Those methods can be cash, a traditional or private loan, bringing in a money or credit partner, a government-backed loan such as FHA or FNMA, or some sort of seller type financing. Leveraging a property using the least amount of money down can allow you to do more deals. One strategy for buying homes is to buy those that are below the market value. Most investors, beginning and experienced, are aware that you can buy your property at a discount, but it doesn’t necessarily mean that buying a home below market value is the total solution to today’s increasing prices. There are many other factors to consider. Buying homes below market value require education, strength of mind, persistence and patience to get the best deal. Target your marketing to these types of motivated sellers. Keep in mind that there is a very strong reason why these kinds of houses are being sold below market value. More often than not, the reason properties are priced low is something an investor can truly get excited about! Proprieties that are distressed in one way, shape or form can provide golden opportunities to an investor that has the education, experience and the people around him or her to come up with a budget that includes; accurate numbers, an appropriate fix-up, and aggressive selling on the back end. Buying a fixer-upper home is a great strategy if you really want to buy a home below market value. These kinds of dwellings are usually being sold on the market at lower prices because of their structural and cosmetic defects. The good news is that conventional buyers and new investor tend to stay away from these types of properties which can lessen the ‘buyer frenzy” and ultimately the purchase price, allowing you to get a better than average deal in some cases. Fixer uppers can provide the investor with the opportunity to make a nice profit! You can fix them up and make them attractive for a backend buyer to purchase, but you still have to take into consideration your costs when fixing a fixer-upper home. The price you may initially consider paying when buying a home below market value may not be low enough if the market conditions are trending downwards. For example, if you plan to make a profit out of the present value of your fixer-upper home and suddenly the market conditions have flattened or are going down, the idea of buying homes below market value may not sound good after all. Keep in mind that in a decreasing market, home market values are constantly decreasing in value. If this is the case, buying homes below market value such as a potential fixer-upper home may bring problems instead of profits. Even if you spend a lot of money on home improvements but the market condition is bad, buying homes below market value may not bring you the profits you want. Many investors have done very well in flat or down markets, however. The key is being able to anticipate where the market will be in the months that the property will be for sale. You also need to be extra conservative in your numbers, add a “buffer” to your rehab, selling and carrying costs and finally, only pay a price for the property that accomplishes all of this. If you don’t have sufficient knowledge about home improvements, buying a home below market value can be fraught with danger. Why? If you can’t clearly determine that you have made a good buy and have accurately estimated the total rehab costs. 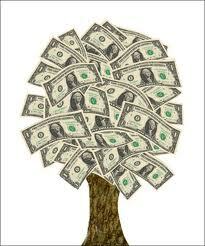 It is also a common mistake for inexperienced investors to spend more than what is necessary. If you overdo it, it will cut deeply into your profits. Overlooking the essential items that are needed to improve your fixer-upper home can decrease its value. Bad improvements are just as bad as not having to improve it at all. A great way to assess what rehab is needed is to attend open houses for homes for sale near the area you are rehabbing a property. This will tell you to what degree you will need to fix up a property. You should also enlist the help of a good contractor for accurate rehab costs. Experienced investors, a good mentor, and realtors that work with investors can help you with other costs and the final selling price. Not all cheap properties make good buys. If you really want to see good results out of buying a home below market value, you should know how to mathematically analyze the present and expected estimated values. These things will help you assess if your fixer-upper home is really worth your money. Obtaining good seller financing can really help slant the numbers in your favor! This is where a mentor can really be worth their weight in gold. They will provide you with a formula and a spreadsheet in order to calculate the numbers that go into completing rehabs and making a fair profit. A rule of thumb is that your Net Profit (profit after all costs) should be at least 10-15% of the final selling price of the property. Buying homes below market value take good research skills. You should be skilled enough to conduct inquiries about the available homes that are being sold below market value to get the best deals. Know the people, websites and other sources that can get you accurate answers in order to make an educated decision. House prices may still vary even if they are all below market value. It is important that you know how to find the best one for the lowest price but with the highest potential profit. The possibilities of finding and buying homes below market value are out there. It’s up to you to explore them. Understand that is imperative that you know these factors to get the best value even if you are getting a property at a deeply discounted price. A savvy investor will “hedge” their bet, especially in a depreciating market by having two, or possibly more, exit strategies. Those of us that have “been in the game” for a while, have likely had the “opportunity” to use this. If a property just doesn’t sell, then consider renting a property out for a year or two, or selling on a land contract or lease option- are all possibilities, depending on the deal. It can turn a non-deal or losing deal into a money maker. However, realize that in many cases, you won’t get the full profits right away as you might when selling a rehab. You will likely have to wait a few months or even a year or two, in order to fully profit from your deal. There is much to know about buying at a discount and fixing up a property. Make sure you have educated yourself. Surround yourself with good and knowledgeable people that you can trust and rely on. Do your due diligence. Obtain a mentor. Run through your numbers. Make sure that they are realistic. Be conservartive. Then jump in and join those of us that have made a living out of real estate investing. Need help? 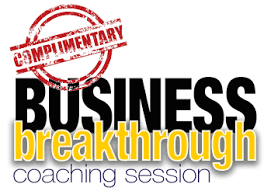 Click here for a free, no pressure coaching session!